The YouTube Bubble Burst is Coming are you Prepared? We all know it’s coming. There will be a big clean up in YouTube of spam accounts. Here’s my take on it and how to protect yourself and your valuable content. Back in the AdSense days, I used to make up to $5000.00 per day. Yes, I am serious. I remember those times like it was yesterday. There were 10,000 of us AdSense marketers making over $20K per month. Those were fun times, but all good times have to come to an end. Well, I feel the same event is approaching us right now. A bubble was forming; we all knew it couldn’t last forever. It appeared as if once Google got their new AdSense advertising product completely saturated in the market, they just didn’t need us marketers for massive exposure any longer. And then it all changed…sites that used to generate on average $100 per day in AdSense revenue in August 2008 changed overnight. That reliable revenue dropped to approximately 50 cents per day. And that was the end of that. Game over! The reason I bring up this past Google bubble is because I predict it will happen happen with Video Marketing. The market is being flooded with cheap and ineffective video marketing courses and platforms. These are the initial signs of a big volcano about to erupt. Run for cover. In the Internet marketing world, the explosion of video marketing is growing exponentially. Why? Because using videos are an easy way to dominate the search results. When you know what you’re doing, it’s easy to rank videos and websites relying on video linking love. I’ve been doing SEO professionally since before Google even existed and I can tell you we are in a video marketing bubble right now. I cannot predict how long it will take till this bubble bursts, but it’s inevitable. You don’t need to be a rocket scientist to figure that one out. There are just so many video marketing products out there, everyone is jumping on this bandwagon. The problem is people with no long-term experience in SEO or software development are throwing these programs together daily and selling them to many unsuspecting IM consumers. Just over 12 months ago, YouTube did a massive spam account clean up, removing 100’s of thousands of Spam YouTube accounts. When the next wave of account deletion occurs, will your YouTube accounts and videos be safe? That’s the question, isn’t it. Have you been using some of these new programs on your existing YouTube accounts that you’ve been populating with awesome content for years? Is this account you’ve owned for years vulnerable to the next YouTube Spam account clean up? If you’re not sure about the answers to those questions above, I’ll suggest you, you may well be vulnerable to losing your accounts. You get what you Pay for! Still holds true in 2015 in the Internet Marketing Game. When you purchase a cheap Video marketing product from someone with no or very little past history in Video marketing, guess what? You’ll be learning the hard lessons in real time along with that person. Or, you can get involved with people such as myself, who’ve been there done that and already learned the hard lessons, so you don’t have to. Someone with so much experience, they can “feel” when a Bubble is happening and already knew one was going to happen 18 months ago. So, I put the strategy in place for this upcoming bubble 18 months ago into my software and training. At the end of the day, Video marketing when done well is incredibly profitable and sustainable, but it’s more than just throwing up a bunch of videos and making a bit of profit using throw away YouTube accounts, or even worse using YouTube accounts you’ve owned and put up your own lovingly created content on. Once this Bubble Pops, there’s going to be a LOT of very unhappy people out there, who will have Lost Years and Years of their own content in the clean-up algorithm. This is serious stuff. Imagine trying to recreate a YouTube channel that has all your business and personal videos in it. I know my account is 9 years old with close to 1000 videos. I’d die if I ever lost that account. I guess it would be the same for everyone else as well. Let’s start with the bad news and then I’ll wrap this up with the good news so we all leave on a good note and not be freaked out completely! There is certainly a bubble happening, we all know it. Look at how many video products are being released almost daily now. Just from the IM market alone, there’d have to be literally 100’s of thousands of crappy videos being uploaded each and every day, and growing, of course this is unsustainable for Google. They can’t let that keep happening forever. They keep tightening the entry to video marketing by employing different strategies, though these don’t last long as new ways to get around them appear. So inevitably they’ll need to do a big clean up to show people what’s up. It’s certainly coming. From what I’ve seen with the vast majority of the programs being released, there’s no safeguards put in place to create long term accounts and protections for the content being created. Most of them supply training including tons of rookie mistakes They don’t become evident till it’s too late. If you’re unsure about your own personal YouTube account, and if it will get picked up in the coming spam clean out. 1. Stop using your own account for video marketing purposes. Always create separate accounts to use for video marketing. Amazingly, new video marketing vendors leave this crucial bit of information out. In fact, a lot of them suggest you use them as a fast means of getting up and running. If you are doing this, STOP right now. Do not infect your established YouTube account with spammy videos. I would go as far as to say, If you have a YouTube account that has really valuable content you’ve created over the years, I’d be removing any spammy like videos Now. So at least that account is safe when the big clean up arrives at your digital doorstep. Lots of our members have over 100 YouTube accounts which they use in my software. I raise this point to let you see how many accounts are used with our system. Let’s say 10’s of thousands ok. I’m in contact with the vast majority of our members through our members Facebook group and of course my awesome support system. Since I am in contact with the vast majority of my members I can say I know of 4 accounts being deleted in the last 18 months. And all of these accounts that were deleted were because of user error, e.g. they didn’t follow the strategy we provide. If they did, the accounts would still be good. Full disclosure, we have had some members accounts flagged as spam by competitors, because they completely dominated entire niches. These accounts were not closed, but got some penalties which mean the owners could not upload any more videos for a 6-month period. The good news is, when you join a team headed by someone who’s been around the SEO and Video marketing traps since they were invented, you get strategy supplied that keeps your accounts safe, this takes more time to do it correctly. And, luckily for my members, we supply our automated software solutions to take that pain of time away. Our software incorporates all that strategy for you and keeps you safe. Since we have such a vast membership base, we enjoy awesome feedback from them which continually helps improve the system and processes. We add to the software making it faster, and even more effective. I am 100% confident, when the YouTube Marketing Bubble Pops all of our Hangout Millionaire members will be saved from all the negative consequences that the vast majority of video marketers will experience. I’m calling it now in this blog post. People will be able to come back to this post once the bubble pops to see I called it here and now. Main point is, are you safe from the Bubble Bursting? If you’re not sure, the time is NOW to join a great team who will be safe when it happens. If you’re reading this, it’s your lucky day. We’ve just completed our biggest Update to our software yet. Hangout Millionaire was released publicly 18 months ago with over 30 software updates, keeping up to date with changes in the market place and significant improvement updates. As of right now, Hangout Millionaire has gone 100% Social. We have added a bunch of social sites into the process, including uploading custom high-ranking Facebook Page Videos, and these of course have call to action Popup links to your money site once the video ends. Right out of the box, using Hangout Millionaire you are ahead of the game in terms of avoiding the burst of the YouTube bubble when it arrives. Which other software developer looks after their new members so comprehensively? Say you need more accounts? Too easy. We can provide them to you for a nominal cost (reduced for members). Not only have we added social sites in the software itself where we post more content and links back to your videos created and website you are promoting. We’ve also added a new syndication system I created exclusively for my Hangout Millionaire members, Called Tube Tornadoes. We now Supply Tube Tornadoes as a completely Free bonus with Hangout Millionaire. TubeTornadoes is a syndication system that’s connected to the YouTube account we supply you. It works like magic. Why magic? Well, you don’t have to do anything, just run the software and create videos. TubeTornadoes does the rest on your behalf. It creates a custom SEO optimised blog post of each of your videos created, including a video embed and links back to your money site. Then, It posts links to that blog post created, including your video to 8 other very powerful social sites across the web. This povides even more powerful tiered links back to your Google Hangout or YouTube Live video, and more tiered links back to your money site. This is done automatically for you. We even supply all the social accounts setups inside Tube Tornadoes for you. It’s a complete automated package all setup for you. You don’t have to do anything apart from create awesome videos using Hangout Millionaire. Extremely cool huh? To celebrate the release of this New Massive Web 2.0 Social Update, and for a short time only, I’m releasing a very special price and YES with the “LifeTime Offer” that so many people have been screaming for! http://www.SpecialOffer.HangoutMillionaire.com Check out all the new features listed on the page. Note the Testimonials offered by existing HOM customers. This offer is obviously time limited there’s an extreme reduction in price so make sure you jump on it now before I pull it! Happy to answer any questions in the comments below. Make sure to share this post via Facebook or Twitter to your friends whose YouTube accounts may be in Jeopardy. Announcing Your Own Private Web 2 Social Networks in EVO PRO SEO Software. Very happy to announce our very latest update to keep on top of the ever changing world of SEO. Further to our recent Penguin Update providing a vast diversity of keywords in anchor text and the relase of our Penguin Repair Feature. Private Web 2 Social Blog Networks. This is a graphical representation of what your new Private Network Looks like. Here is the video demonstration. Click on Generate button to generate the username for accounts created. Main Keyword Phrase to target using spintax. Select Web2 Pryramid Option CheckBox. Source related Unique Article content based on your Niche. Then Under Tasks Select only Main Sites. access any time in EVO to send authority to, via all our High Page Rank High Authority websites within EVO. Save project, using a name so you know its a Mains Only campaign. Time Investment = 5 mins. New Project/Load From Archive, select previous Mains only campaign. Under Main Settings, we change the Main Anchor text to the exact phrase you are targeting without Jetspinning. We are sending link love using the exact keyword phrase you want your site to rank for to this blog network. These High PageRank High Authority Web 2 properties can withsand exact keyword phrases used and do not get any penalties and do not pass on any penalties, while providing a network based on “Your exact keyword Phrase” thus passing on this relevance to your site via the links inside this blog network. Time Investment = 3 mins. EvO goes out and creates links pointing to this blog network from our database of High Page Rank High Authority sites. EVO then makes RSS Feeds from these new links created and posts them to the top RSS Aggregators on the web giving these links faster indexing and more authority and diversity. Links are created on a vast diversity of site platforms including blogs, social sites, wikis and TLD’s across a vast amount of countries and IP’s from all over the entire planet. 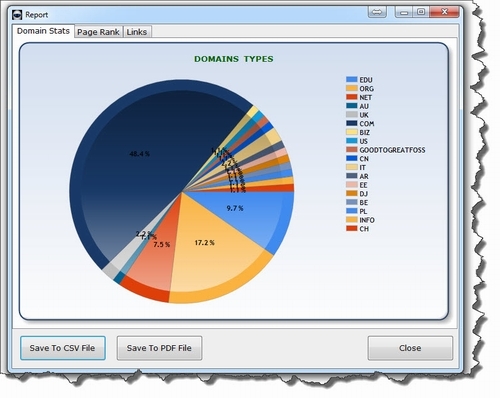 Your Graphical Report shows all your links and which TLD they are on, and their PageRank. Repeat this every 2 days, sending tons of high powered exact phrase links to your blog network. Since your money site is removed from this process, you can send as many links as you like to this blog network. To repeat, start EVO and do the exact same as above, takes no time at all and EVO will send quality links over and over in the background. Obviously EVO PRO does a lot more than mentioned above, e.g. creates new individual accounts across all the sites it posts to. Solves captures along the way at our expense, confirms all emails created. Does strategic linking between sites, all in the background while you focus on your business. EVO is the preferred software to use because of its ease of use and a high percentage of our members use VA’s to operate it for them because its so easy to use. 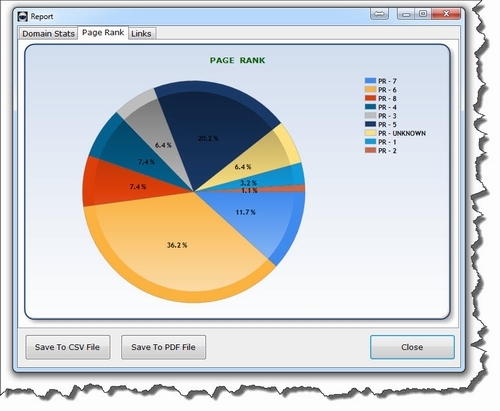 You do not need an experienced SEO VA, any VA can operate this software. If you need a VA, hit me up in the forum and we’ll pass on access to Great VA’s for you. Just added 9 extremely high EDU wiki’s into EVO PRO, on top of all the other HPR social sites. As Per usual, you can test this out right now and see for yourself how simple it is to create these very powerful networks for Just $1 and keep them forever, even those made during your trial. I’d like you to go right now to www.BruteForceSEO.com and take the $1 trial that goes for 5 full days, in this time you could create and promote up to 15 of these on your single license, as a member you get an additional license to use the software on 2 computers, thus doubling the amount of work the software can do for you.